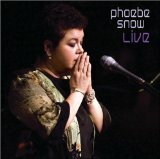 Read about Phoebe Snow's latest album Live. 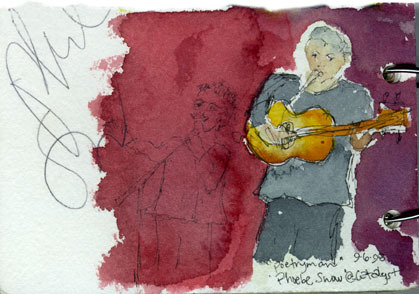 Original art by Christina Lopp, created during the Phoebe Snow concert at the Catalyst in September 1998. Phoebe autographed it on the left. "Phoebe Snow, a singer, guitarist and songwriter whose song Poetry Man was a defining hit of the 1970s, has died," The Associated Press reports. According to the wire service, "Rick Miramontez, her longtime friend and public relations representative, says Snow died Tuesday morning. He says she died of complications from a brain hemorrhage she suffered in January 2010." I'm putting some comments from readers on the News page. There are plenty of videos of Phoebe on YouTube. Here's a favorite of mine. DeBolt Web Design © 1996-2011. All Rights Reserved.